Modern medicine’s view of Alzheimer’s disease is an epic catastrophe. The U.S. medical research database lists 1913 as the date of the first publication about it. Since then, more than 140,000 scientific studies have been published on some aspect of Alzheimer’s disease – with no cure is sight. That’s pathetic! Research funding from the U.S. National Institutes of Health is estimated to be nearly 2 billion dollars for the 2018 fiscal year. Medicare and Medicaid spending on care for people with Alzheimer’s is expected to be nearly 100 times that amount. Financial statistics aside, we are seeing the rise of a modern epidemic. It is ruining lives at an accelerated rate. It drags down AD patients, family members, caregivers, and friends. Plenty of online sources go into great detail about statistics – e.g., see what the Alzheimer’s Association has to say. I don’t want to recite all the bad news. You can easily find that on your own. What is most important right now is to apply some common sense to a burgeoning health problem that is not just wrecking countless lives. It is also heading toward destruction of the U.S. economy and that of every other developed country in the world. Let’s get one thing out of the way immediately. Blaming Alzheimer’s disease on ‘bad’ genes is a fruitless endeavor. The concept of “you are your genes” – what biologists call genetic determinism – is absolutely wrong. Flat wrong! Gene expression (i.e., how genes work) – and what you can do to change it – is closer to biological reality. This phenomenon is referred to as epigenetics (2009). The understanding of epigenetics regarding human health is relatively new. Modern medicine hasn’t fully bought into it yet. What this all means is that you control how your genes work, not the other way around. Moreover, since you can expect little or no help from your doctor in this regard, it is up to you to make sure that your own genes work for your benefit. We don’t need more pointless research on what to do about the so-called Alzheimer’s genetic risk factor of the ApoE4 gene (actually an allele of the ApoE gene locus, to be technically correct). What we need is a better handle on what we do to make it work or not work the way it is supposed to. Hints about that approach are starting to appear in the scientific literature (2015). Unfortunately, that enlightened view is still buried in research that represents the obsolete tilting at windmills search for new drugs to treat a “genetic” problem. Your brain health rests on your lifestyle choices, not on your genes. Let’s take a look at some of those choices to see what you are doing for (or against) your brain health. Everything you do affects your brain. To keep things a little simpler, we’ll focus on just three of those choices that have the most impact. Diet is a good starting point because it is conceptually the simplest factor to understand and to change. As you will see later, though, a brain-healthy diet works well only in the context of other lifestyle choices. Several books have already been published on a so-called “Alzheimer’s diet.” Most of them offer spotty advice, at best. 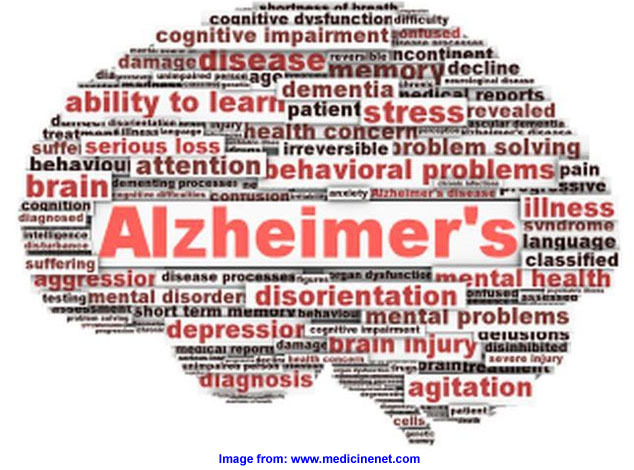 The most helpful book on the topic is The End of Alzheimer’s: The First Program to Prevent and Reverse Cognitive Decline by Dale E. Bredesen, MD. 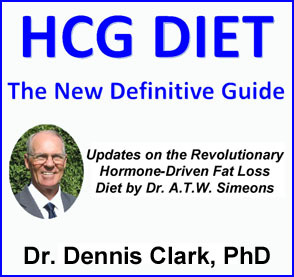 The two most important dietary approaches in this book are: 1) anti-inflammatory foods; and, 2) ketogenesis. An anti-inflammatory diet simply means eliminating foods that cause inflammation. The most important step is avoiding processed foods. Refined carbohydrates and food additives are an inflammatory nightmare for your brain. So are refined vegetable oils (e.g., canola, soy, corn) and all foods that are made with them. Certain whole foods are also surprisingly inflammatory. The worst offenders are whole grains (wheat, rye, oats, corn, barley, rice) and legumes (bean, peas, soy). If you always thought that “eat your fruits and veggies” was good advice, then you will be shocked to find out how wrong that advice can be. If you are really serious about eating only truly healthful fruits and veggies, then dig through the most thorough book that I know on the subject, The Plant Paradox: The Hidden Dangers in Healthy Foods That Cause Disease and Weight Gain by Steven R. Gundry, MD. Can meat also be inflammatory? Absolutely. Consuming grain-fed and soy-fed meat sources (beef, poultry, farmed fish) is like eating the grains and legumes yourself. You eat what your food ate. Anti-inflammatory meats and wild-caught fish and grass-finished cattle and pastured poultry. Ketogenesis means “making ketones.” Dietary ketones come from metabolizing fats. A ketogenic diet, therefore, is a high-fat (and low carb) diet. Of the three main food groups – fats, protein, carbs – only one is not essential in your diet: carbs. That’s right – your body has no basic requirement to take in carbs. Proteins, yes. Fats, yes. Carbs, no. The most important missing ingredient for brain health that books and articles typically fail to mention, though, is a fatty acid that you may have heard of: DHA (docosahexaenoic acid). It’s main food source is seafood – especially oily fish (e.g., salmon, mackerel, anchovies, sardines, herring). DHA acts like a battery in cell membranes. If you don’t have enough of it in your brain, your mental battery will lose its charge. The outcome is neurodegenerative disease. All you have to do is eat plenty of wild-caught oily fish! Easy-peezy! SIDENOTE: There is NO GOOD SUBSTITUTE for DHA from whole foods. Supplements simply do not measure up, as I explained here in an earlier post: Fish Oils – Industry BS Just Plain Fishy. Seafood is a must-have food in any brain-healthy diet! That’s enough for now about dietary strategies for good brain health. The next two items on the list are missed by nearly everyone who advocates natural approaches to defeating Alzheimer’s disease. They are vastly more important than diet. Indeed, if you do not pay attention to them, even the best diet will do you no good whatsoever. Got your attention? Good! Read on. You have two brains: 1) the one in your head; and, 2) the one in your gut. Yes, your gut. Your GI tract technically houses your enteric nervous system (ENS). The ENS consists of around 500 million neurons, compared with about 100 billion in your main brain. Together, your main brain and your gut-brain form your gut-brain axis. Interaction is so tight between your two brains that they completely depend on one another for keeping you healthy. If your main brain has a problem, so does your gut. If your gut has a problem, so does your main brain. All of the standard mental disorders link to what is now called “leaky gut syndrome.” This just means that you have holes in your gut (technically “gaps in your intestinal tight junctions” – isn’t that fun to know!). In such case, undigested food particles and microbes leak through the intestinal lining into your bloodstream. When they reach your brain … good-bye mental health. That is a simplified view of the basic premise: You must heal your gut to have any chance of having a healthy brain. How do you do that? One important component of gut healing is an anti-inflamamatory diet, as described above. Of equal importance is the 40 trillion or so microbes that live in your GI tract. Together, they are referred to as your microbiome. Your microbiome controls your gut health (2015). In turn, it controls your brain health. Dr. Josh Axe has posted a nicely informative article on his blog, where he recommends how to heal a leaky gut with certain foods and probiotics: The Leaky Gut Diet and Treatment Plan, Including Top Gut Foods. The diet part of his plan is valuable. However, the recommendation for taking probiotics is even more crucial. Probiotics are dietary or supplemental microbes (usually bacteria) that rebalance your microbiome. Microbiome balance makes your gut healthy, which makes your brain healthy. Want some great news about how that applies to Alzheimer’s disease? A 2016 study showed that probiotic-treated Alzheimer’s patients made significant improvements in their mental states, while subjects in the control group continued to deteriorate. More recently, the consumption of a common gut microbe (Bifidobacterium breve) was found to suppress certain genes that are induced by the amyloid plaque proteins that characterize Alzheimer’s disease . Science is finally catching up to the value of probiotics for mental health, even in the face of Alzheimer’s disease. The lesson so far is to daily consume about 50 billion colony-forming units (“cells”) of a diverse array of bacterial species for complete gut and brain health. We humans are adapted to a 24-hour day/night cycle. This is called a circadian rhythm. It is a very simple concept that consists of living in daylight after the sun rises and living in darkness after it sets. Health Hell broke out with the invention of artificial lighting in the late 19th century. Fast forward to the present. More people live under artificial lighting, day and night, than ever before. What’s worse, exposure to the early incandescent bulb has been overtaken by the use of fluorescent lights, TVs, CFLs, LEDs, computer screens, cell phones, tablets and the like. The key change in modern lighting and tech devices is that they all have a color spike in the blue region. The effects of nighttime artificial lighting are particularly damaging from the intense blue light spike of modern lights and technology (2018). Constant exposure to indoor lighting during the day is bad enough. However, when it occurs after sundown, everything your brain is supposed to do gets short-circuited. The core effect is that artificial lighting after sundown, especially “high blue,” ruins your sleep. Sleep at night is the prime time for brain regeneration. What can and should you do about it? Obviously, the most effective strategy is to “go dark” after sundown. If that is impractical, which it will be for most people, then wearing blue-blocking glasses will help. Of course, skin also absorbs blue light, so covering up is also important. If you have to have some kind of lighting at night, then red is the preferred (non-blue) color. Candles will also do. Circadian living does not simply mean avoiding artificial lighting at night. More importantly, it also means exposure to sunshine – in your eyes AND on your skin – for a few minutes as soon after sunrise as possible. This is how you are adapted to coordinating appropriate levels of day/night hormones (e.g., melatonin, cortisol). Human beings are simply not adapted to indoor living with artificial lights. By the way, just be aware of this: “health centers” (hospitals, clinics, senior living facilities, etc.) ALL provide indoor living with exposure to artificial lighting and daily circadian disruptions. They will never, ever function as good places where you can go to heal your brain. If anything, typical senior care is monumentally destructive to good mental health. Human exposure to non-native electromagnetic fields (nnEMF) has risen by more than 500-fold over the past 120 years. Book-length explanations of EMF health effects point to a shocking ignorance of this topic in modern medicine. What is worse, technology companies (power, electricity, communications) have hired scientists to demonstrate that there is “no problem” from the health effects of their technology. Such bought-and-paid-for research is the epitome of bad science. Nevertheless, nnEMFs create monumental health problems that every citizen should be aware of. At the moment, you are a guinea pig in a massive experiment with nnEMFs. Moneyed interests control everything – no surprise there. Your best bet is to become informed and take action based on what you learn. Perhaps one of the simplest places to learn what you should know about nnEMF is from Lloyd Burrell at ElectricSense.com. Another is ElectromagneticHealth.org. You are an electromagnetic being, adapted to the electric and magnetic fields of the Earth. Artificial disruptions of natural internal and external fields by modern technology will kill you. Alzheimer’s disease is just ONE of the consequences. I hope these comments will at least scare you enough to dig into the issues and do something to protect yourself. If you are relying on medical doctors, who are routinely clueless about these issues, then good luck. This article is only about 2,400 words long. All of the recommendations are oversimplified. You have to do some digging on your own – with your BS detector set to “high” for the nonsense that is spewing out of modern medicine. When doctors and researchers continually say that “there is no cure for Alzheimer’s disease” then run the other way as fast as you can. Take heart that you can do plenty to prevent and reverse this insidious modern disease on your own. Need to research more. Thanks for the insight. That’s the spirit, Corey! My article is way too short to provide details for everyone. If people like you commit to dong more research, asking good questions, and taking action on what they find out, then we are going to see some progress. Thanks for the comment. 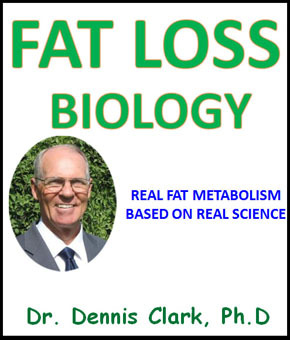 Great article, Dr. Dennis! I definitely need to read some of the books you highlighted in this article. Thank you for your insight! Yes, that’s a great step in the right direction, Sherry. Besides it gives you a better sense of who is in control of your health: YOU!